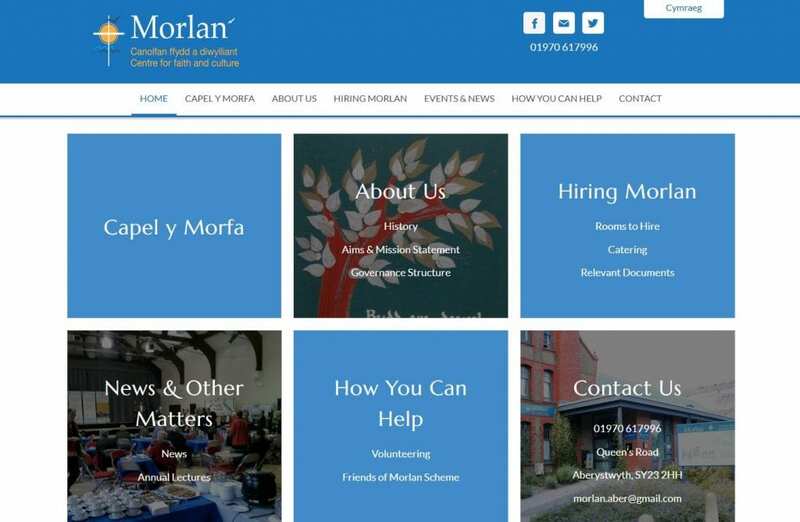 The website needed to be fresh and modern, with a clear user journey to find out about the latest events, room hire and what the Morlan do. We chose a block based layout for the first page, as well as ensuring that the menu tabs and footer items are clear and understandable. Of course blue was a natural choice for the colour scheme, the run inline with the current branding in place, and also as blue is a well established colour in Aberystwyth! The website is seamlessly bilingual, and also links through to social media. Can we help you with a new website? Contact us today!